The makers of the film managed to capture the attention of the people and build anticipation with the seven screamers which were unveiled ahead of the release. Anushka Sharma starrer Pari which hit the silver screens on Friday, March 2, has opened with a good response at the box office. The horror film has been making waves ever since the first trailer was unveiled by the makers. The much-awaited flick which also stars Rajat Kapoor, Parambrata Chatterjee and Ritabhari Chakraborty in lead roles minted Rs 4.36 crore on its first day. The movie has managed to rake in good money on Friday considering it was not released in the Southern states. Bollywood trade analyst Taran Adarsh took to Twitter to share the box office collection of Pari. Trade pundits are expecting Pari to perform better in the upcoming days as no other films were released along with it. The film which was released across 1400 screens in India received scathing reviews from the critics but Sharma’s performance was applauded. Pari is Anushka’s third flick under her banner Clean Slate Films, the other two being NH-10 and Phillauri. Pari is Anushka Sharma’s first release after marriage and this has made the fans excited. Anushka’s husband Virat Kohli praised the 'Sultan' actress and called Pari as finest work of her career. The makers of the film managed to capture the attention of the people and build anticipation with the seven screamers which were unveiled ahead of the release. The positive word- mouth of publicity is expected to help the movie generate good business at the box office. Interestingly, Anushka has played the role of a ghost in her last film- Phillauri. 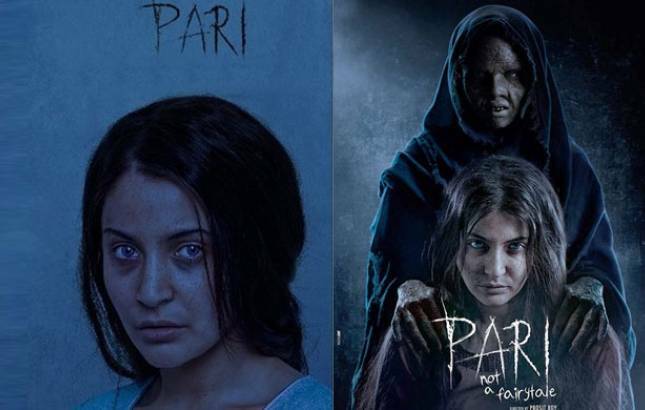 Unlike her character in the fantasy comedy, Anushka portrayed a spookier and intense ghost in Pari.